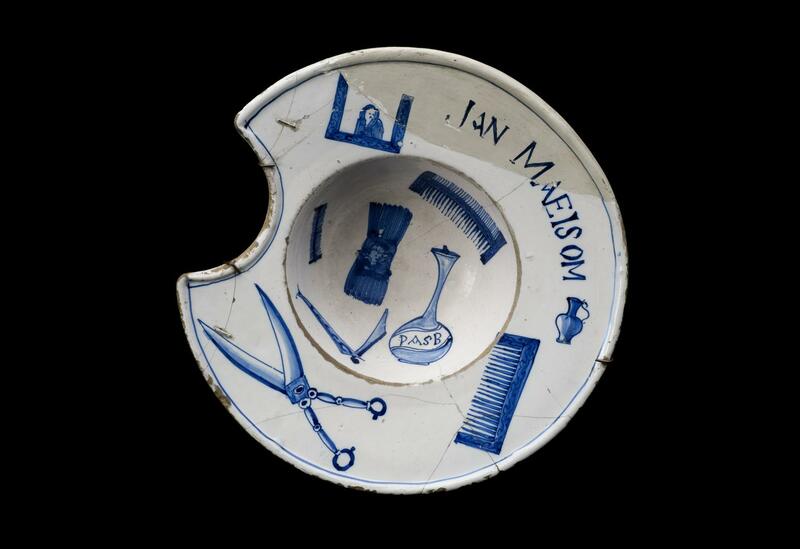 Barber's shaving bowl, tin glazed earthenware, recorated with tools of the trade and owners name, Dutch, 1701-1750. Shaving bowls have a semicircular space for the customer to place his chin in to prevent the water and soap making a mess. They were sometimes decorated with the tools of the trade such as razors and combs – this is a particularly fine example. The owner’s name ‘Jan Maeison’ is painted on the rim. Maeison is a name from the Netherlands although this bowl is typically English in design. 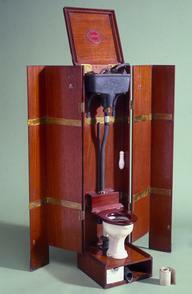 There is some evidence that shaving bowls may have been used to catch blood during bloodletting. This process was believed to cure a number of ailments by rebalancing the patient’s humours and so restore them to health.